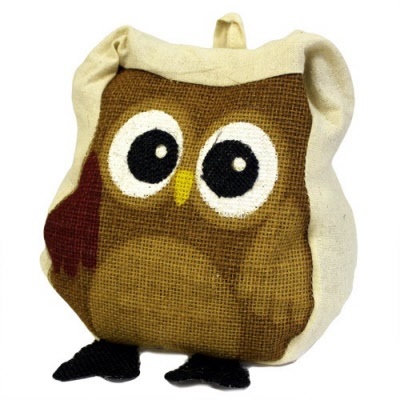 Cute little Hessian and fabric hand stitched owl door stop-. This comes empty for you to fill with gravel, or sand yourself. Approx 5 inches tall x 5 inches wide depending on how you fill it.